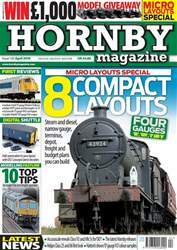 FREE with the latest issue of Hornby Magazine is our special 24 page Hornby Product Guide supplement filled with everything you need to know about Hornby's plans for 2015 including full listings of all the new items. 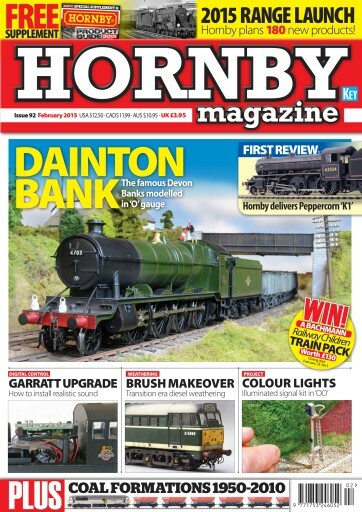 Plus in the main magazine we give Hornby's new Peppercorn 'K1' a detailed review together with all the latest models while feature layouts include the fabulous Dainton Bank in 'O' gauge plus Topley Dale and Montague Field in 'OO'. 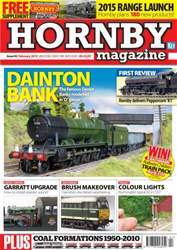 We also show you how to make bushes and shrubs, how to install sound in a Hattons Garratt, how to weather transition era diesels and more. 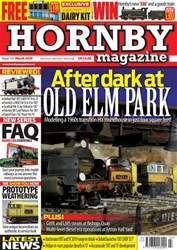 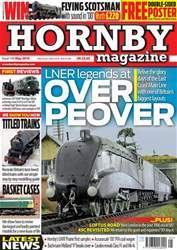 Don't miss this feature packed issue of Hornby Magazine.